2010 was the tale of two offenses for the Yankees: there was the offense that could explode at any moment; that led the league in runs scored and struck fear into opposing teams. And then there was the offense that could go days without getting a clutch hit; that lived and died as it waited for someone to hit the mythical 5 run homer. 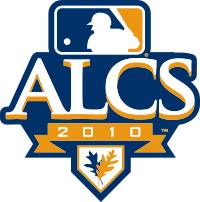 Both offenses were evident in the 2010 ALCS. Unfortunately for the Yankees, the latter offense was the one that spent most of the time on display. Injuries to key players like Alex Rodriguez and Jorge Posada robbed key players of time in 2010 and 2011 doesn’t figure to offer much improvement on that front. Of the 9 projected starters, 3 (Derek Jeter, Posada and Rodriguez) are older than 35. Additionally, the only projected regulars under 30 next season are Robinson Cano and Brett Gardner. This isn’t meant to be pessimistic – the emergence of Cano as an MVP caliber player and Gardner as a solid corner outfielder were huge positives for the team in 2010. There’s also a crop of intriguing minor leaguers nearly ready for the jump to the Big Ballclub in the Bronx. Once again, players highlighted likely won’t be back in 2011. Derek Jeter may be a free agent this offseason, but nobody honestly expects him to sign elsewhere. GM Brian Cashman may have pulled some idiotic maneuvers in the past, but if he fails to re-sign the Captain I would fully anticipate his head being hoisted on a pole outside gate 4. That said, all four infield starters from last year – A-Rod at 3B, Cano at 2B, Teixeira at 1B and Jeter at SS look to be back next year. The key for this group in 2011 is health, as age, injuries and lack of rest caught up to them. Jeter had what is easily the worst season of his illustrious career, and at times seemed to have a slow bat. Teixeira battled nagging injuries throughout the season, as did Rodriguez. Cano finally realized his incredible potential and had his best season ever, but tailed off towards the end of the season – although he did seem refreshed by October. Despite their troubles, the infield combined for 102 HR, 401 R and 409 RBI. Getting the regulars some rest on occasion can only help their production, especially down the stretch. To that end, the Yankees need to decide what to do about reserve infielders. Ramiro Pena has a sure, if unspectacular glove but tends to get his bat knocked out of his hands, managing a meager .504 OPS despite garnering 167 plate appearances. Eduardo Nunez got a look late in the season, but displayed shaky defense with a middling bat. Kevin Russo got a look early in the year, but proved to be another Cody Ransom. Expect Reegie Corona to get a look this spring, but I expect he’ll spend a year at Scranton as the Yanks look to see if he might be able to fill in for Jeter in 2012. Another option is the free agent market, which is loaded with career utility types. One in particular, Willie Bloomquist, has piqued the Yankees interest in the past. As for Nick Johnson, 2010’s big offseason free agent signing: I don’t think he can pack his bags fast enough for the Yankees or their fans. This was a definite weak spot for the Yankees in 2010. Neither Jorge Posada nor Francisco Cervelli proved to be worth much defensively. To make matters worse, Posada not only battled an assortment of injuries during the season, but suffered through a decidedly sub-par season offensively. Cervelli finished with decent numbers for a catcher (.694 OPS), but disappeared for the entire summer, hitting only .147 in June, July and August. Fully expect touted rookie Jesus Montero to make his Bronx debut in 2011, although that will crowd the situation behind the plate. If the Yankees do keep 11 pitchers on the roster, as is generally the case these days that only leaves room for 14 fielders – carrying three catchers is probably a luxury the Yankees can’t afford. Expect the Yankees to give Cervelli a look at third before making a final decision, to see if he can field the position defensively. Whatever the future holds for Cervelli, fully expect Posada and Montero to split the catching duties, with Montero getting the bulk of the starts behind the plate as the season progresses. The reviews on Montero’s defense have not been kind, but the Yanks hope that he can learn on the job, similar to another young, power-hitting catching prospect from 15 years ago. Some kid named Jorge Posada. The Yankees seem to be set, with all three of 2010’s starters returning. But here’s the catch: there are two FA outfielders the Yanks have long coveted, Carl Crawford and Jayson Werth. Should the Yankees sign one or the other, a stable outfield situation suddenly becomes crowded. Do you sit Brett Gardner, who had a very respectable .762 OPS and stole 47 bases? Do you trade Nick Swisher, who is a fan favorite in the Bronx and posted a .288/29/89 line? Do you trade Curtis Granderson, a former all-star who found his stroke towards the end of the season? The most likely scenario has the Yankees signing Crawford (.307,19 HR, 90 RBI, 47 SB), if for no other reason than to keep him away from Boston, starting him in left and sitting Gardner. Also expect the Yankees to make an effort to re-sign Thames, who proved to be a valuable bat off the bench. But since 2011 looks to offer him even fewer opportunities than 2010, Thames will likely look elsewhere first. So while the media won’t let the facts get in the way of a good story, its clear the Yankees and not the Twins got the short-end of the strike zone stick last night. As we prepare for tonight’s tilt with the Rays, there are numerous questions surrounding the Yankees. Will Andy Pettite‘s groin be fully healed before the playoffs? Will Phil Hughes‘ innings limit result in him being ineffective? Who will be the fourth starter? Will the offense ever remember how to hit? Can Derek Jeter regain the form that made him a Yankee icon? But the biggest question of all has to be this: Why is Joe Girardi still the manager? Yes, I realize Girardi was the manager last year for #27. But many observers, myself included, felt the team won despite his managerial hijinx, not because of them. And the job he’s done this year – well, this current road trip pretty much sums up his season. A manager’s job is two-fold: one, to put his players in the best position to do their job; and two, to motivate and inspire his squad to shine. Girardi consistently fails to do either. He insists on putting in line-ups where there are as many reserves as regulars. (How else do you explain bench players accounting for 21% of the teams plate appearances this season?). Quite frankly, I’m getting tired of seeing a bottom of the order consisting of Ramiro Pena and Francisco Cervelli. (That particular duo has started together an incredible 15 times this season – better than 10% of the season). It’s nothing against either of those guys, but this is supposed to be the Yankees, not the Orioles. Or the Cubs. Girardi over-relies on the bullpen; the Yankees only have 3 complete games as a staff – 11th best in the AL. Don’t forget; this is the same guy who was run out of the Marlins clubhouse largely because he burned his bullpen so badly in 2006, they fell out of contention. It makes you wonder if Alfredo Aceves‘ workload contributed to his (possibly career-threatening) injury. He also rubbed that clubhouse the wrong way, as the players simply got tired of his act. I doubt we’ll ever hear anyone on this team complain about the skipper – they’re all too professional for it – but I defy anyone to tell me this team actually wants to win for Girardi. To be blunt, lately the Yankees look as though they would rather be taking a nap than playing baseball. That type of lethargy is direct reflection on Girardi’s leadership -or lack thereof. Last night’s game – with the odd bullpen choices (Kerry Wood and Boone Logan combined to throw fewer pitches in 1 1/3 innings than Chad Gaudin and Sergio Mitre did in 2/3 of an inning), lackadaisical hitting, base running blunders – was a microcosm of the season thus far. Lost in all the noise about the bullpen maneuvering and Brett Gardner’s inexplicable attempted steal of third were two other moves that make absolutely no sense. In the 5th, Jorge Posada was caught stealing. On a straight steal. With two out. Later, in the 11th, after Austin Kearns led off with a sharp single, Girardi had Curtis Granderson bunt. If you have the heart of the order coming up, that makes sense. But not when the next hitter is Colin Curtis. I’m sure the infamous binder had all kinds of percentages for each of the weird moves we saw. But games aren’t won in a computer model; they’re won by players on the field. Speaking of computer models, the Pythagorean prediction says the Yankees should be 89-55 or two games better than they’ve played. Why do you suppose that is? Managers can rarely win a game. But when they insist on managing like the league idiot, they can certainly lose them. For that reason, Joe Must Go. If Ivan Nova was brought up with the idea of resting the pitching staff, it seems somebody forgot to tell Joe Girardi. Nova only pitched 5 1/3 innings, throwing 73 pitches. After a rough 1st inning, he settled in nicely. Other than a poorly located pitch to Jose Bautista, he didn’t give the Jays anything. I’m still scratching my head over Girardi’s decision to yank Nova in the 6th and use 3 relievers last night, particularly with Dustin Moseley (averaging 5 2/3 innings per start) and Phil Hughes (he of the innings limit) coming up next. Assuming Nova maintained his 14 pitch/inning rate (not improbable), he wouldn’t have hit 100 pitches until the 9th inning. Strange, but I’m sure Girardi had his reasons. Then, tonight you could have DH’d Posada and an 8-9 of Francisco Cervelli and Pena. As it was, the Yankees got exactly the kind offense you could expect from the line-up Girardi put out there. Speaking of Bautista, two questions come to mind: First, why are the Yankees still throwing him fastballs? Second, is anyone else just a little suspicious that Bautista has nearly tripled his career high for home-runs while playing in the same town that Anthony Galea calls home? Finally, I can’t wait to see what the umpires have in store for us tonight. MLB sent what might be the worst umpiring crew I’ve seen all season to work this series – and that’s really saying something. The HP ump couldn’t find the strike zone, leaving both teams hollering at him. The first base ump blew a call that obviously cost the Yankees a run. You also have to wonder if that call might have caused just a moment’s loss of concentration for Nova, since it was the following AB that Bautista did his best Barry Bonds act.